Part of the Century Collection by Ottiu, the Louis Armchair takes inspiration from American jazz trumpeter and singer, Louis Armstrong. Renowned for his influence and contribution to jazz music in Hollywood’s golden era, Louis’s talent lent itself to composing, singing and acting. Influenced by Louis’ larger than life persona, the designers at Ottiu created a family of mid-century modern furniture pieces named after the jazz artist. 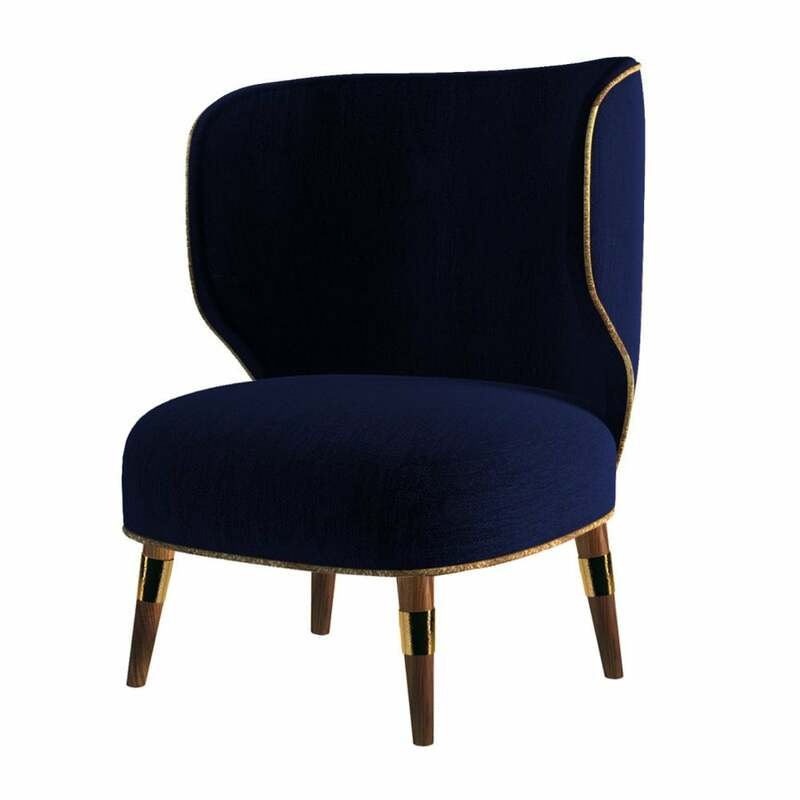 The contemporary armchair is upholstered in the finest cotton velvet and contrasting gold piping. Louis mid-century modern armchair is the perfect choice for any contemporary living set or luxury commercial space. The curved backrest and deep seat is supported by solid walnut legs with polished brass accents. Available in a range of covetable fabrics colours and options, make an enquiry for more information. Priced for Upholstery: Ottiu Fabric. Structure: Pinewood, legs in walnut wood with high gloss varnish. Details: Golden piping, Polished brass accents.